About 5 steps behind my friend Reynolds, who likes to push the pace daily. 7:30 tempo. Daily dose of oats with almond milk & honey. Soup, bananas, and ginger in the ultras. 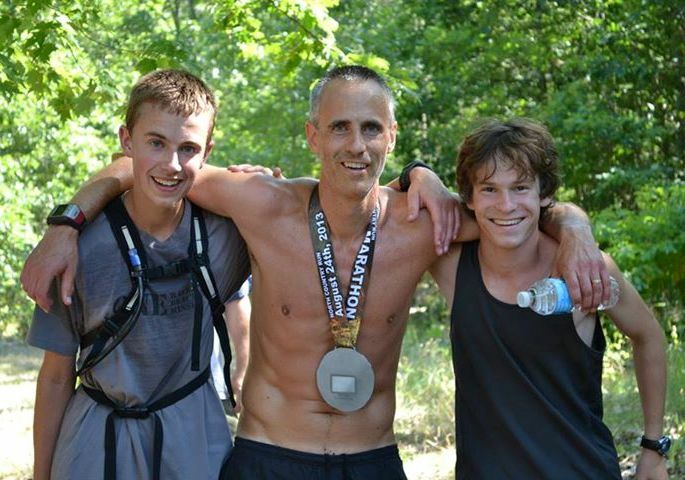 My 3 kids joined me for the last quarter mile of my first marathon – Pinkney “Trailmarathon” in 2011. Celebrating marathon finishes with friends and family makes the accomplishment that much sweeter for me. My son has paced me for the last ½ marathon of the 3 50 mile ultras I have completed. Through him I understand the importance of support and positive encouragement in pacing and achieving goals. Fully supported long runs? Sign me up! Pacing a couple of my son’s friends - first time marathoners and 15 at the time to a sub – 4 hour finish in the Veteran’s Marathon in 2011. One of them qualified for Boston this year – huge accomplishment for an 18 year old, and he will be racing me at this year’s North Country 50mi in August, can’t wait! I have found my marathons and ultra’s to be a roller coaster. 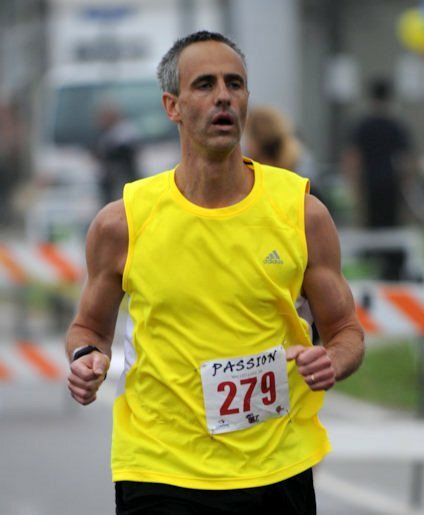 Let me, or another pacer, carry you through the tough parts and keep your pace honest. We are there to help you through the tough parts and achieve your goal. Rest is more important than you think! Train hard and embrace the taper. I appreciate all those who help get me to the starting line – my family, my wife’s meals, my kids who are not too embarrassed to run some miles with Dad, and my friends who push me to continuously improve. I am sure you have a support network out there, too. Focus on those who helped get you there during your marathon and it will make it an even greater experience. Working to feed homeless through our church, raising funds through races/marathons for Autism awareness and the Special Operations Warrior Fund.